Transform all classrooms at once. 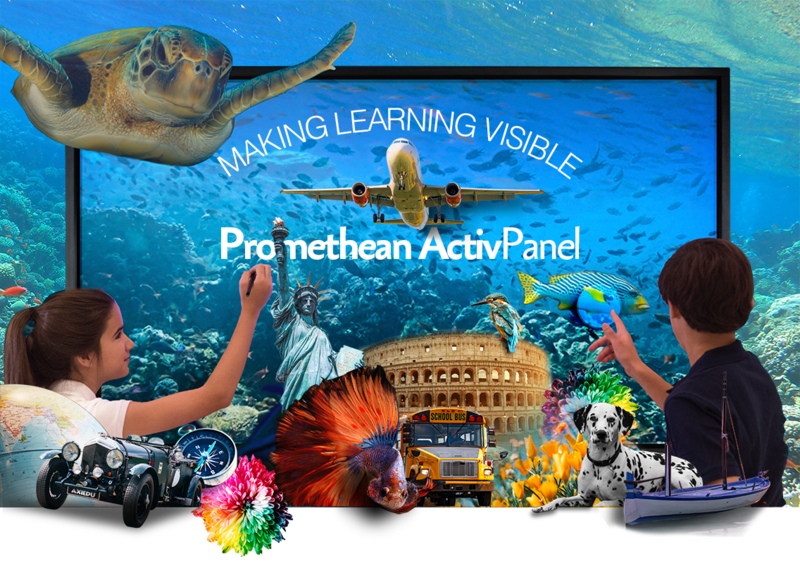 The ActivBoard Touch combines multi-touch, multi-user functionality, dry-erase writing, and award-winning Promethean Education Software Suite to foster a truly interactive learning experience. Deliver interactive, multimedia lessons offline or online using your choice of Promethean’s educational software products. Both ClassFlow and ActivInspire software come standard with the ActivBoard Touch. Promethean’s awarding winning Education Software Suite has been expanded to add the modern features and free Upgrade of ClassFlow Desktop and the flexible Android ActivConnect G to the ever popular Activlnspire Professional, ClassFlow for Teachers and ClassFlow for Schools. Known and loved by educators around the world, ActivInspire provides a vast suite of tools to create and deliver dynamic lessons. ClassFlow is next-generation lesson delivery software with advanced collaboration tools for student engagement. Energize the classroom with interactive lessons, activities, quizzes, and millions of immersive resources from educators around the world. Certified Installation of replacement projector.